Rarely has the announcement of a new casino created more buzz in international media than the announcement of Cyprus’ President Anastasiades to consider licensing a casino in his country. At the moment this seems to be just an idea and not a plan, no details about the way forward are known. For years the possibility of a casino (or even several) in Cyprus has been discussed. With tourism as a main part of Cyprus’ industry a casino seems to be a natural extension of tourism infrastructure. 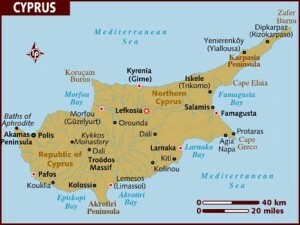 Previous Ministers of Tourism, hotel owners and European gaming groups have been interested to get a casino to Cyprus. More so as some 16 casinos in the northern part of Cyprus attract people living in the south as well as tourists. 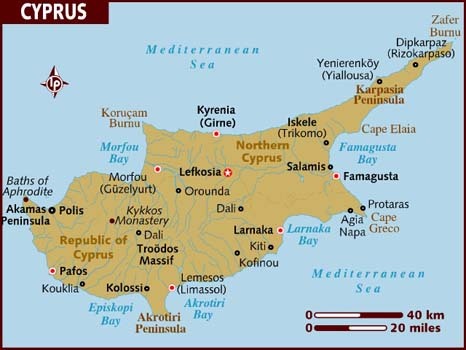 However all discussions have born no fruit as the Orthodox Church of Cyprus always vetoed any initiative for a casino. This time it might be different. The economic meltdown in Cyprus has led to an extraordinary situation where at one point the Orthodox Church was willing to contribute to a rescue fund for Cyprus. Maybe this could be taken as an indication that now the Orthodox Church would be willing to tolerate a casino in order to help the economy. It is said that a study some years back when Cyprus was prospering estimated that a casino would generate taxes of up to EUR 50 million per year. This appears to be quite ambitious especially now with a shattered economy. Depending on the gaming tax rate revenues from a casino (or several) would have to be somewhere in the range of EUR 100 million to EUR 200 million to yield EUR 50 million per year in tax. Where should so much revenue come from? Domestic consumption will be hit by the economic down turn and the transformation Cyprus will have to go through. The Economist is pointing out that “even when financial institutions are excluded, Cyprus has the second highest private sector debt-to-GDP ratio in the euro zone.” Deleveraging will take time and will not leave much money to be spent in a casino. With over 2 million tourist arrivals per year, Cyprus is the 40th most popular destination in the world (Wikipedia). About 50% are visitors from the UK, more than 10% coming from Russia, a segment that was rapidly growing over the last few years. It might be fair to say that Cyprus is for Russians what Mallorca is for Germans: an island in the Mediterranean with an agreeable climate, easy to get to and good infrastructure. Shops, restaurants, hotels have Russian menus, signs etc to serve especially Russian tourists. However the question is how tourism will be affected by the crisis. Looking at tourism development in Greece we may expect for Cyprus a decrease in the number of tourist arrivals in the short run. If the situation stabilizes quickly tourism may be back to previous levels within the next three, four years, otherwise it will take considerably longer. Of particular interest are tourists from Russia. Not only was this a rapidly growing segment over the last few years but it is also a segment that is hardly affected by the sovereign debt crisis in Europe. On the contrary it can be expected that the middle class in Russia with rising income and wealth will travel more over the next years. Here the question may be more how Russian tourists feel about the severe haircut for Russian bank deposits in Cyprus: Is it seen as an unfriendly act against Russia in general or as an act that hit a few people who coincidentally are from Russia. And then there is the seemingly untapped market of tourists from the Middle East. Much will depend on the legal framework: How long will be the term of a casino licence? How high will the gaming tax be? Will there be one (large) or many (small) casinos licenced? Where will it be allowed? Opening hours? … These and many more points will be decisive whether a casino in Cyprus will be successful. The government of Cyprus wants to focus on growth and incentives for growth like tax exemptions on business profits reinvested there, and the easing of payment terms and interest rates on loans. Investors in a casino will have a close look whether these incentives would also apply for them and how favourable casino legislation will be, especially for the first few years of operation. All in all the idea of a casino in Cyprus has some potential to help revive the economy with new jobs and taxes, increasing attractiveness of Cyprus for tourists. It will however take time to build up the market and to make a casino viable and beneficial for the Republic of Cyprus as well as for investors.